Orange juice is probably the most popular juice in the world. It is also considered as one of the healthiest and most readily available fruit beverage in the world. Orange juices are made from oranges, Citrus sinensis, which come in various varieties. Orange juices have numerous health benefits which include; preventing cancer, preventing skin aging, body detox, boosting cellular repair, reducing cholesterol level, and reducing body inflammations. Orange contains a high content of vitamin C. Thus, consuming at least two glasses of orange juice daily, increases the vitamin C we take. This vitamin is very crucial to our bodies and can’t be produced naturally by our bodies, thus making it important to have numerous sources of it. Vitamin C protects our bodies against harmful free radicals. These radicals cause premature aging as well as tissue damage. So, as we take our breakfast or any other meal, we should make orange juice a regular item so as to combat these free radical damage. Orange juice has anti-oxidants responsible for keeping cancer cells at bay. The vitamin C and anti-oxidants found in orange are the first line of defense for cancer as well as other diseases. The hesperidins, in orange juice, decreases tumor growth as well as causing apoptosis in cancerous cells. Furthermore, orange juice is associated with the prevention of colon cancer. The hesperidin anti-oxidant is also effective on various types of cancers. Hence, ensuring we include orange juice as part of our everyday meals would help prevent various kinds of cancers. Orange, as well as orange juice, contains another very effective content called folates. This is a member of B complex vitamins. It’s vitamin B9 technically. This vitamin is important particularly in the creation of DNA as well as the development of new cells. Also, folate is useful in keeping cells protected from mutation, a way that free radicals target and damage the body. Additionally, folate is beneficial in building new red blood cells as well as enhancing blood circulation towards the extremities. Also, folate supports the metabolism of the body as well as the functioning of all body systems. Another useful content found in orange juice is vitamin A. Vitamin A, as an anti-oxidant, improves body detoxification. Orange juice is useful in detoxifying the body since it enhances good kidney functioning. Vitamin A is also associated with eye health improvement. This answers the question, why is orange juice consumed with Carrot Juice? It’s simply to enhance and maintain good eyesight. Hence, consuming orange on a regular basis helps in body detoxification as well as preventing the onset of various kinds of eye diseases such as macular degeneration. Oranges are well known for their healing power. This is the reason behind regularly serving patients, as well as the people recovering from illnesses, with orange or orange juice. This is because a single glass of orange juice contains over 200% of vitamins C required daily by the body. Hence, this high content of vitamin C plays a very effective role in fortifying our body’s immune system. Thus, it’s advisable to consume orange juice on a regular basis when we are taking our meals or breakfast to boost our body’s immunity. Orange has various anti-oxidants that make it an effective protection from harmful free radicals which cause skin aging. When one frequently drinks orange juice, this helps in reversing the aging effects of their body. Orange juice is crucial in the reduction of high blood pressure. This is facilitated by numerous anti-oxidants found in it. These anti-oxidants, such as Hesperidin, ensure smooth functioning of small blood vessels. Hence, consuming this juice regularly, maintains good blood pressure levels, thus decreasing chances of heart complications. If you want to naturally lose weight, drinking orange juice would help especially when combined with a reduced-calorie diet. Orange juice is widely used by many people with intentions of losing weight naturally while avoiding artificial sweeteners. Most ulcers appear in the small intestine or the stomach. They mostly lead to severe abdominal pain and constipation. To curb these ulcers, you could drink orange juice regularly. This would stimulate the digestive system as well as prevent the formation of ulcers. Due to its natural sugar content as well as its diuretic properties, orange juice is appropriate, in moderation, for people with diabetes Type II. The diuretic properties in orange juice help in managing excessive sugar in the body. Also, the presence of vitamin C, assist in minimizing the effects that can literally bring this disease. Hence, it’s important to include orange juice, in moderation, either in your breakfast or other meals. People who suffer from kidney stones are the ones who can tell you how painful the condition is. Sipping orange juice regularly is very crucial in kidney stones prevention. Orange juice has potassium citrate responsible for inhibiting the formation of kidney stones as well as relieving numerous kidney diseases. Regular consumption of orange juice help in lowering low-density lipoprotein (LDL) cholesterol. This cholesterol is generally referred to as bad cholesterol. This cholesterol gathers in your arteries as well as blood vessels thus causing heart diseases, cardio issues as well as poor blood flow. It is proven that regular consumption of orange juice help in lowering bad cholesterol thus reducing the risk of heart-related diseases. If you want to keep your intestine as well as the stomach in good condition, then don’t hesitate to include orange juice in your diet. Orange juice contains numerous fibers, thus preventing bowel problems. Furthermore, if you keep consuming orange juice regularly, your chances of developing a digestive ailment or stomach cancer are reduced. Hence, ensure you include this juice in your diet on a regular basis to keep your digestive system in good health. Orange juice helps in the assimilation of iron, especially in children, which plays a key role in red blood cell formation. If you have plenty of iron in your blood, it would be able to offer the rest of the body with enough oxygen and reduce the likelihood of suffering from anemia. Orange juice is rich in calcium. 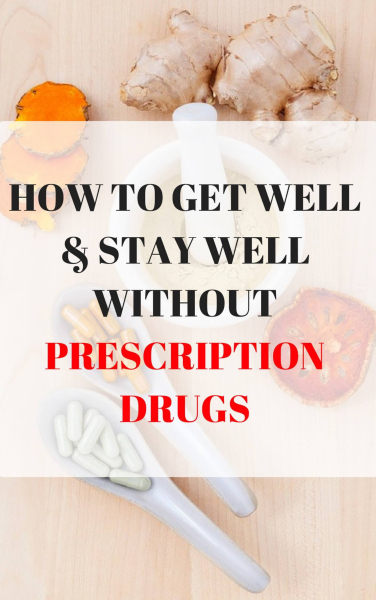 Calcium plays a vital role in oral cavity protection as well as other bone related issues. Also, the presence of vitamin C makes orange juice beneficial in scurvy treatment. Vitamin C, which is plentiful in orange juice, is a key component for the production of collagen; it’s a structural element of bones, ligaments, tendons as well as the blood vessels. In case the body lacks vitamin C, it can lead to scurvy. This illness is seen as bleeding, bruising, as well as tooth loss and immense joint pain. To avoid scurvy, you need to consume enough vitamin C that you can easily get through regular drinking of orange juice. To keep your urinary system clean, ensure you drink orange juice regularly. Orange juice contains alkalizing qualities that effectively help in cleansing our urinary system. This helps in flushing out toxins and harmful micro-organisms from our urinary system. People suffering from arthritis or gout experience extreme pain when the uric acid is deposited in their joints. In case you are suffering from these conditions, it’s recommended to consume orange juice daily as this would help relieve the symptoms of arthritic gout. Another vital component that makes orange juice beneficial, is beta-cryptoxanthin. Beta-cryptoxanthin helps in lowering the chances of getting lung cancer. This benefit is essential for smokers. Hence, it’s advisable to consume orange juice on daily basis to make sure that your respiratory system is well maintained and carcinogenic effects are kept at bay. The presence of hesperetin, as well as naringenin in orange juice, is particularly helpful to those suffering from arthritis along with other kinds of inflammatory diseases. Both these components are helpful in the reduction of inflammatory levels as well as reducing long-term pain. Hence, it’s useful to consume orange juice regularly to curb inflammatory ailments. Your heart will thank you if you regularly consume orange juice. Orange juice is rich in potassium as well as magnesium that are useful in improving your blood pressure levels. Oranges also contain hesperidin which is useful in lowering blood pressure levels, thus helping in lowering the chances of having heart diseases. Rickets is commonly found among children. This is because kids have weak as well as soft bones. Orange juice, especially those fortified with vitamin D, is rich in numerous minerals that help in preventing rickets development in children. To prevent rickets, it’s recommended to consume orange juice regularly. Lack of folate is the main reason that leads to low birth weight and neural tube disorders. To curb this, it’s recommendable to consume at least a cup of orange juice daily by pregnant women. Folate is a very useful micronutrient which is generally known for preventing a multitude of birth defects. Consuming this juice on regular basis gives over 100% of the vitamin C that is required in your body. Hence boosting your immune system. Thus helping the body to combat various kinds of bacteria and viruses that may be invading your body. 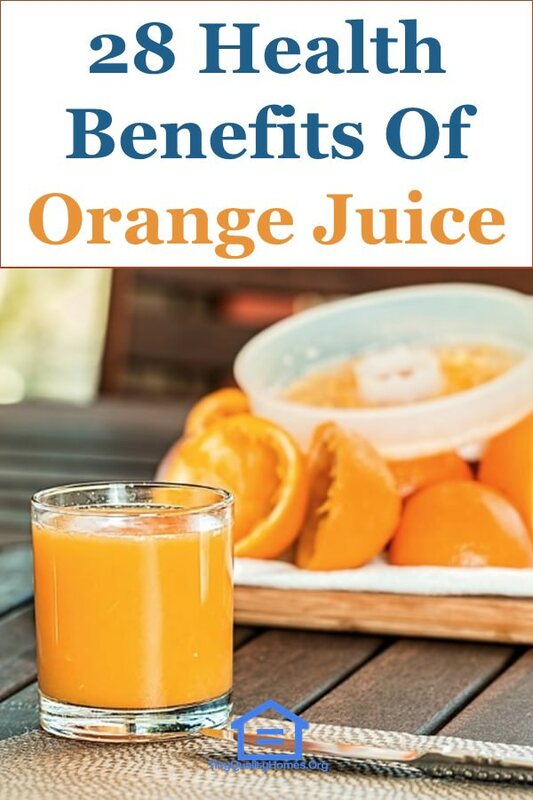 Another vital benefit of this orange juice is its capability in healing. Since orange has potent antioxidant and anti-inflammatory properties, it is quite effective in healing pain as well as swelling and stiffness in various parts of your body. Consuming orange juice is a natural treatment for arthritis. Orange juice is full of anti-oxidants; these anti-oxidants would help give you a radiant skin. These antioxidants protect against harmful free radicals that tend to cause dull skin. The amount of antioxidants, found in orange juice, helps protect you from sunlight damage, wrinkles, as well as improving your skin’s overall texture. Also, collagen synthesis is made possible due to vitamin C that is also abundant in oranges, thus giving your body a youthful look. Therefore, drinking orange juice would definitely give you a beautiful skin. When you think about fiber, grains come to mind. However, orange juice is rich in fiber content. This fiber is commonly used in cholesterol level regulation as well as helping in bowel movement. Hence, consuming orange juice regularly gives you the high content of fiber required by the body for everyday operations. Another orange juice benefit is helping the liver to remain healthy. This is due to the fact that orange juice helps in the detoxification of various organs of the body, thus, leading in a gradual workload reduction for the liver and kidneys.